I’ve been making this dish for as long as I can remember. Someone asked me for my recipe for kielbasa and potatoes a while back and I was a little flustered. This has always been one of those dishes that really doesn’t need a traditional recipe…but it’s still a dish worth sharing. This has spent years at the top of my family’s favorite dinner list. Kids and parents alike enjoy it because it’s tasty and I love it in particular because it’s SO easy to throw together. 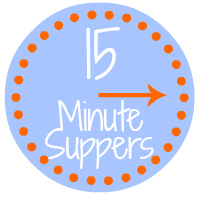 I’ll share the “recipe” with you tonight…but I promise you: once the IDEA of this easy dinner recipe is in your brain, you won’t need to fall back on the recipe (wait, does that mean this post will be useless after today??). You’ll be hooked on how easy it is! Place cut potato chunks into a large pot of boiling water. Boil potatoes for 5-8 minutes, or until just under-cooked. 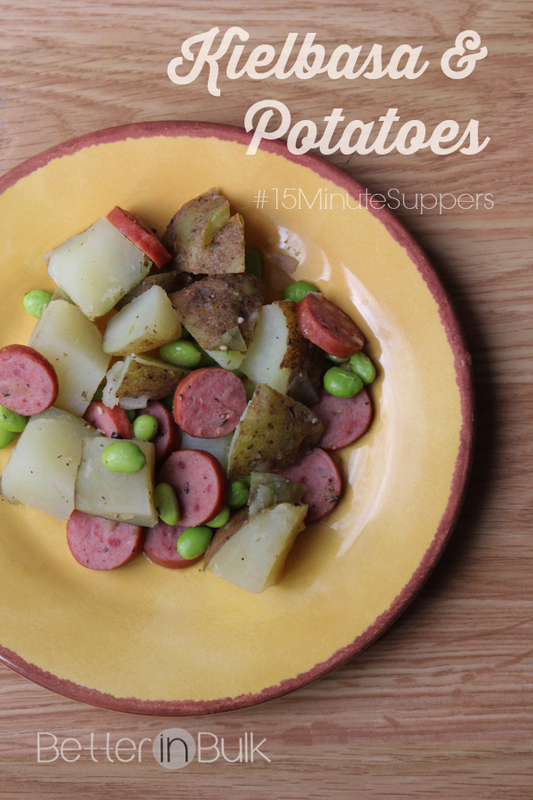 While the potatoes are cooking, slice smoked sausage/kielbasa. Saute sausage in a large sauce pan over medium heat. Scoop slightly undercooked potatoes into sauce pan with sausage. Add a small amount of water (1/4-1/3 cup) from the pot of water into the pan. Stir and cover. Cook, covered, for 3-4 minutes. Uncover and add your vegetable of choice. Add Italian seasonings; sprinkle generously with salt and pepper. Stir and saute until water is evaporated and potatoes are soft when pierced with a fork. This is so simple and does sound so yummy! Thanks for the great recipe!! 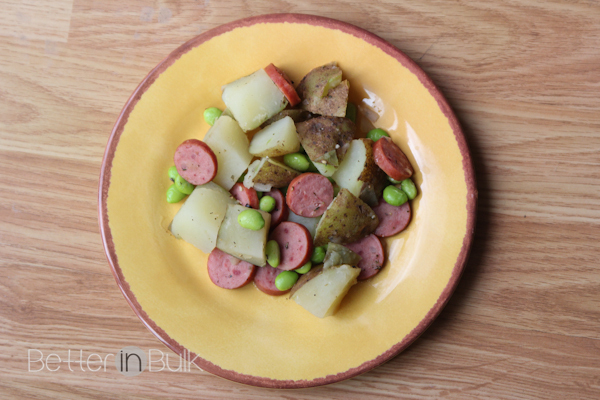 The kids and I love kielbasa sausage, but I never really know what to make with it. This recipe looks good and will have to try it out. Great quick and easy dinner ! I called kielbasa “big hots dogs” the first time my kids had it so they would be more enticed to eat it. Now they love them! This looks so easy, yet so delish! I will definitely have to give it a try – Thank you! I love keilbasa! It is so good. We take it and fry it up in a pan and get it super crispy! Just delish!